2019 Swap will be on Sunday June 2nd at Port Macquarie Racecourse. 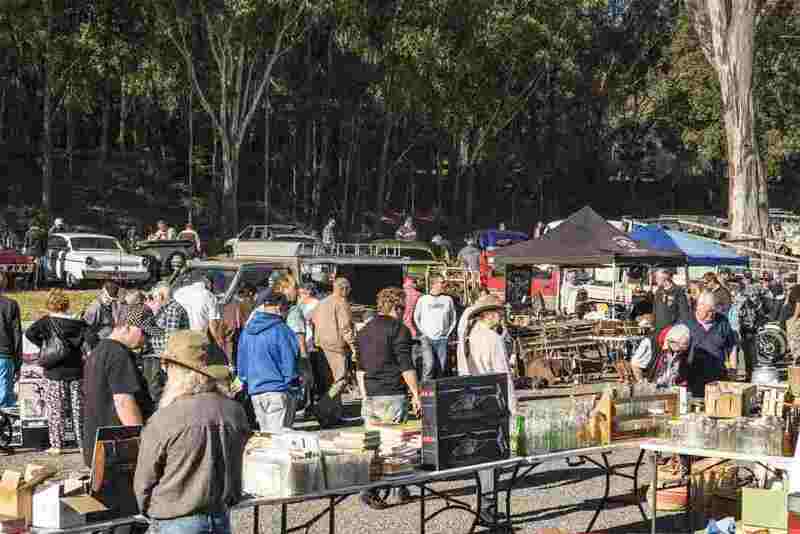 The 2019 Swap Meet will be held on 2nd June 2019 at the Port Macquarie Racecourse, Oxley Hwy. Port Macquarie. Public entry is $3 per adult with accompanied children free. We have 186 sites, both undercover and outdoors, two food outlets, Mr Whippy. In excess of 2,500 visited the 2018 event. …. BOOKED SITES ONLY ….. No sites available at the gate. Please call 0427 640 779 for bookings or information. Bookings can not be made through this web site. Please ensure your name and site number are clearly noted with the payment and we will text a receipt number to you. Booking payments can be refunded if you cancel your site no less than 3 weeks before the event date. Open to the public from 7am. ​186 sites catering for car & motorcycle parts, antiques and bric-a-brac. We try to have something for everyone. Entry is $3 adults with accompanied kids free. All sites are $20 with entry for 2 adults. ​Sites must be booked and paid for before event. ​Click here to go to the Swap Meet's main website for all booking info. 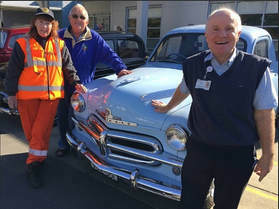 ​Raffle King, Rocket Turnbull with Cancer Care Co-Ordinator Ken Proctor and SES volunteer Rose Johnson at the hand over of our donation to Port Macquarie Hospital. 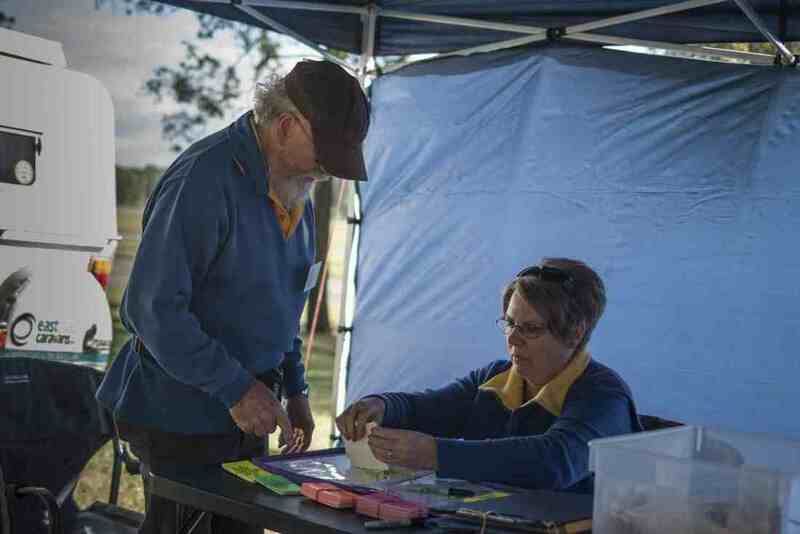 This year's swap meet was blessed with perfect weather and plenty of bargain hunters which resulted in a blockbuster swap meet and a very healthy cheque to aid cancer patients in our area. Our annual Swap Meet is our major fundraiser for the club. ​In 2017 more than 2,500 enthusiasts came through the gate for the day of car gazing and bargain hunting. Funds raised support the Cancer unit at the Port Macquarie Base Hospital. Our donations have exceeded $54,000 over the last nine years. Our team of club members and volunteers from the Port Macquarie S.E.S. will work to make your day enjoyable when we hold our 2018 Swap Meet next year at the beautiful Port Macquarie Race Course on the Oxley Highway. We have full use of the facilities and grounds including the large bitumen car park area and covered betting ring area. We have over 180 sites, both undercover and outdoors plus food and coffee outlets. …. BOOKED SITES ONLY …..
​No sites available at the gate. Please call 0427 640 779 for bookings or information. Bookings can not be made through this web site. Booking payments, after the booking is made, can be sent to H.A.R.S. P.O. Box 1131 Port Macquarie 2444. Go to main SWAP website for details on how to book a site.